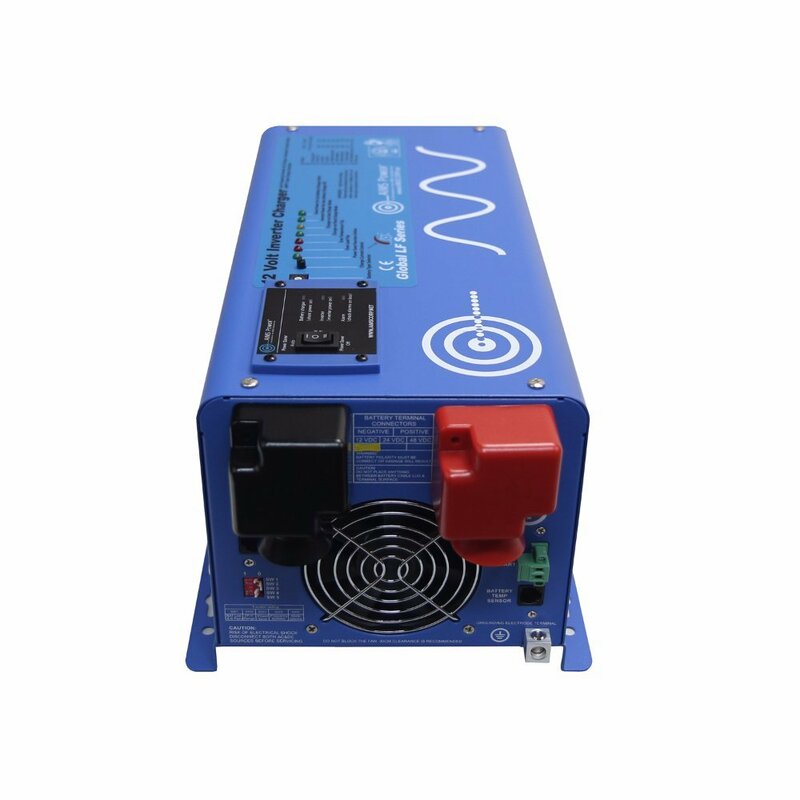 The AIMS 1500 Watt Low-Frequency Inverter Charger is great for most off-grid systems, semi-trucks, 5th Wheels, Toy Haulers or any remote location needing power. 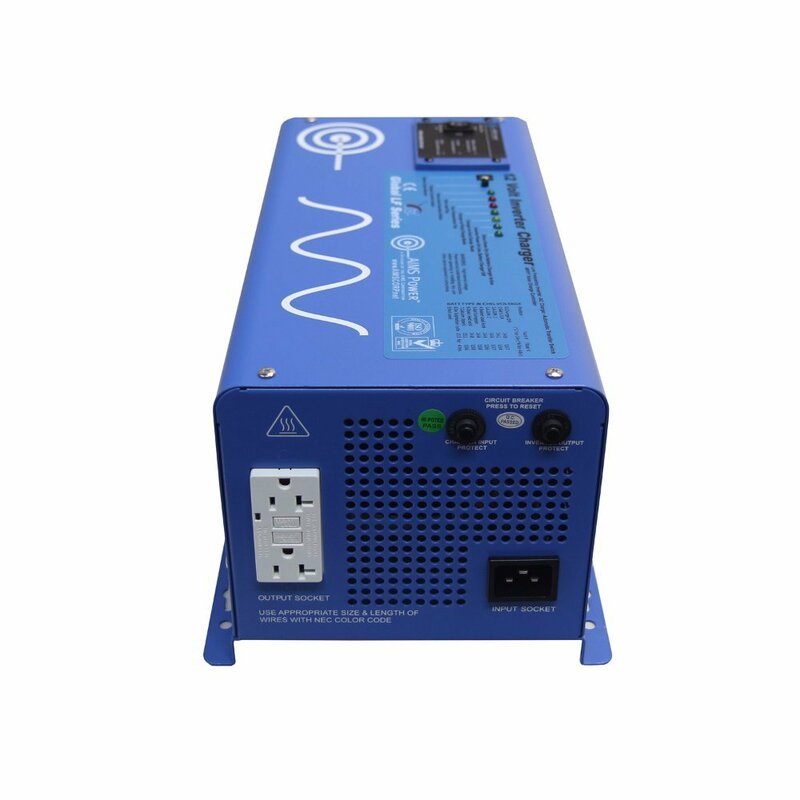 Providing 1500 watts of continuous, clean and reliable pure sine wave power, ideal for sensitive electronics and household appliances. 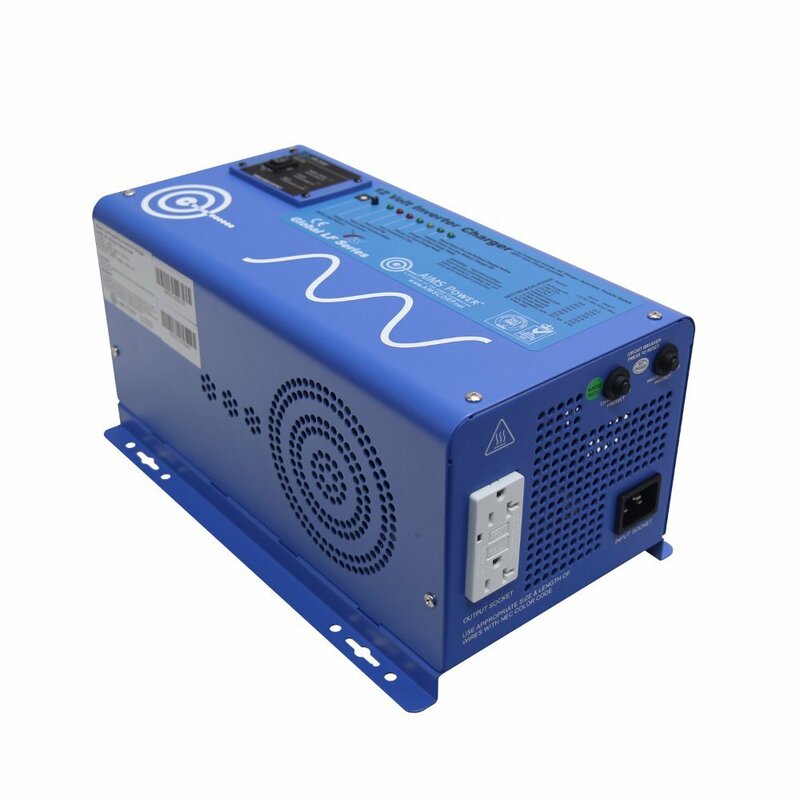 If needed, this inverter has the capability of producing 4500 watts of total surge power for 20 seconds, for startup applications like refrigerators, computers, fans and microwaves (if running more than 1500 watt often, we strongly recommend purchasing a larger inverter). The Inverter has an internal charger for the batteries. It is selectable for the type of batteries. It manages to keep my multiple batteries charged on different applications. The temperature probe is used in conjunction with the optional control panel to monitor the condition of the batteries to make sure that they do not overheat during the charge cycle. A 4500-watt peak for up to 20s. Ever switched the fridge and it made a lot of noise and then it went back to its normal operation mode. Why do you think refrigerators make a lot of noise at first? The fridge uses a compressor which needs a lot of power to go on than to stay on. That’s why this inverter gives a peak power for 20 seconds for such home appliances. Multi-stage smart battery charger with 8 battery charger settings. This gives provision for various parameters that are needed by different batteries to recharge. Optional Power Saver Mode. This mode is an essential one, what the inverter does is that it uses its intelligence to sense for how much load is connected to it. After that, the inverter only gives what is needed. By this I mean if the inverter senses that it is only the television set that is connected as the load, instead of giving full power, it will only give out the power needed to buy the TV and saves the rest. The inverter charge is an alternative wave provided to charge the batteries during the days of autonomy. Days of autonomy are those days where there is no sun and the solar panels are operating poorly. The charger uses AC power to charge the batteries only when the system is grid tied. Overcharge protection shutdown (15.7V). When the battery fully charges the inverter senses the situation and switches off the charge at 15.7 volts of the battery to prevent overcharging. An inverter is a device that converts DC or Direct Current power (the type of electricity stored in batteries) into AC or Alternating Current power (the type of power we use at home). With an inverter, the power stored in a 12-volt battery such as the kind used in a car/truck/RV or a battery power pack can then be used to run devices and appliances that would normally only operate while plugged into a wall outlet in your home or business. With a battery and inverter combination such as the AIMS Power 1500 Watt 12 VDC Pure Sine Inverter Charger w/ 4500W Surge, you have the ability to operate tools and other equipment away from a wall outlet and when you have no grid power at all. How cool is that? 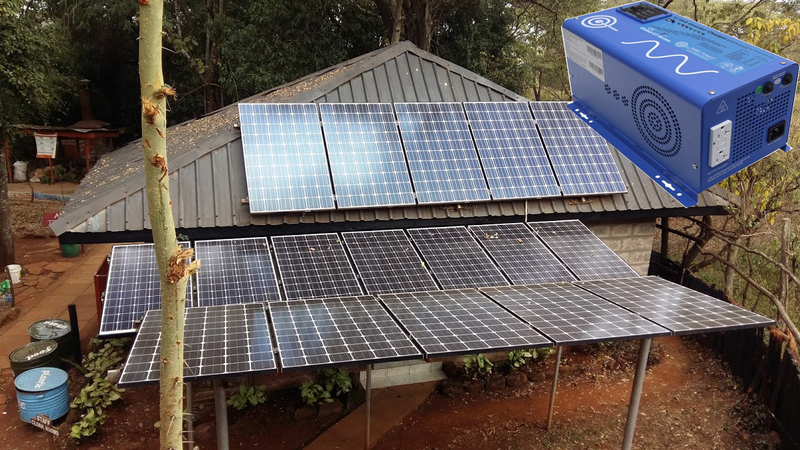 This might be one of the coolest off-grid solar system packages out there! What do you think? 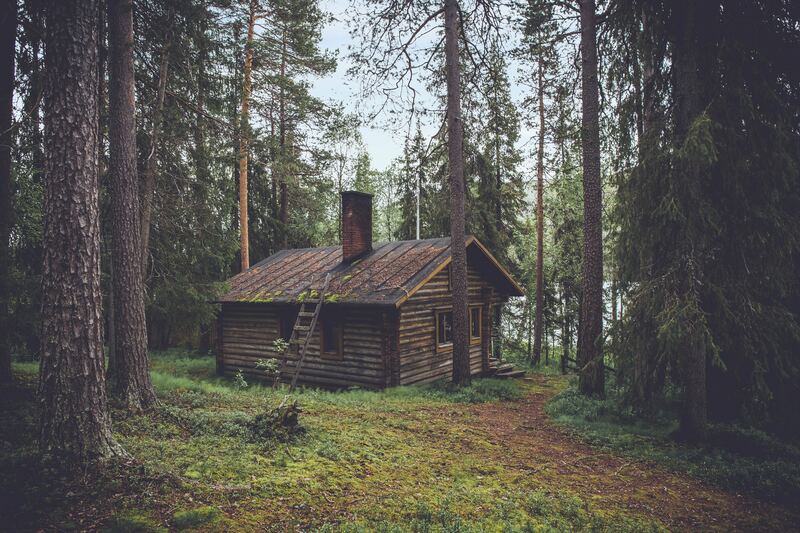 Want to see what people who have bought this off grid solar system packages? Please, if you found this review interesting make sure to share it using the share buttons below (Facebook, Twitter, etc)!